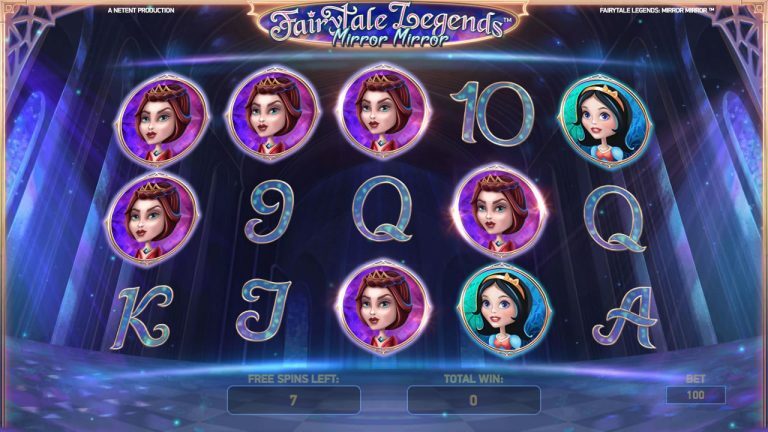 Fairytale Legends: Mirror Mirror Slot - Play For Free or Real Money! Game developer NetEnt Gaming has definitely knocked it out the park once more with the release of the third instalment of its popular Fairytale Legends series, with Fairytale Legends: Mirror Mirror. First, there was Red Riding Hood, which was followed by Hansel and Gretel, and in this release, Snow White is the star of the show. Let’s take a walk into the land of make-believe and check out what Fairytale Legends: Mirror Mirror has to offer. As the game loads, the artwork lets you know you are in the right place. The look and feel are exactly what you would expect from a fairytale like Snow White, and the subtle and tasteful animations are right on the money. The reels are transparent, and the symbols sit in front of a whimsical fairytale forest backdrop, with a palace in the distance and the cute princess (Snow White) standing on the side watching over the action. As with all recent NetEnt slots, this game uses a 243 bet-ways system, so you simply need to select your coin value, ranging from 0.01 up to 1.00, set the desired bet level, from 1 to 10, and hit Spin. Playing the maximum bet, will set you back 100 coins per spin. Within the main game, there is the Mirror Re-spin feature as well as 3 random features including: Fairy Magic Spin, Fairy Surprise and Fairy Mirror. Fairy Magic Spin – When this random feature is triggered, between 5 and 7 medium win symbols (excluding the game logo symbol) will appear as on overlay on the reels for a single spin. Fairy Surprise – This random feature will only activate after a non-winning spin in the main game. A medium winning symbol is selected randomly, and all the low paying symbols present on the reels, will transform into the selected symbol until a win is reached. Fairy Mirror – This feature will randomly place a Mirror symbol in the middle of reel 3, resulting in a Mirror Re-Spin. Mirror Re-spin – The mirror symbol, which only appears on reel 3 in the main game, will transform into either the princess or the queen. Once transformed, it will remain in its position and a re-spin takes place. As you can see, there is plenty of excitement and winning opportunities within the main game. Just wait till we get to the bonus and free spins features. Besides being there by your side to help you spin the game reels, the princess also features as one of the medium-win symbols in Fairytale Legends: Mirror Mirror. The top paying medium symbol is the Fairytale Logo symbol that pays a healthy 150 coins for 5 symbols. The queen is another one of the medium win symbols, as well as a gem and a lantern. The low paying symbols are a collection of 9, 10, J, Q, K, A. The special symbol to keep you eyes open for is the golden jewelry boxes which trigger the various bonus and free spins rounds. Fairytale Legends: Mirror Mirror has three special features that really make this slot super fun to play. The first step in triggering a bonus round is to get 3 golden jewelry boxes on the reels, however the bonus feature may also be activated randomly in the main game after a non-winning spin. Note that the golden boxes can only appear on reels 1, 3 and 5. When you get 3 golden boxes, you then get to pick one box which will reveal if you have won the Mining Bonus, Free Spins or a Coin Win. Mining Bonus – This feature takes place in a mine with a selection of 9 colored crystals that need to be collected 1 at a time. Each crystal holds a hidden number of coins, giving you the opportunity to win between 50 and 500 coins multiplied by your current bet level, per crystal. The round ends when either all of the crystals have been collected or the pickaxe breaks. To make sure you always get some winnings, the pickaxe can only break after the 3rd crystal has been selected. Free Spins – As the name implies, rewards you with 10 Free Spins. Coin Win – You are rewarded with a coin win which is equal to your current bet, multiplied by 15. As mentioned, if you pick the free spins feature from one of the golden boxes, you’ll receive 10 free spins. When playing the free spins feature, you also have a chance to activate the mirror respins feature if you land one or more mirror symbols on reels 1, 2 or 3. Note that additional free spins cannot be won during the free spins round. Unfortunately, Fairytale Legends: Mirror Mirror does not feature a progressive or a fixed jackpot. However, with all the extra features this game has to offer, the potential to win massive sums is possible. Fairytale Legends: Mirror Mirror does not have paylines but features 243 possible ways to win. This slot has a medium volatility, so you should see a good balance of regular wins and feature rounds. Fairytale Legends: Mirror Mirror is a superb-looking slot that not only has excellent graphics and sounds but the animations are outstanding too. Gameplay is easy and really entertaining. NetEnt has produced an exceptional slot that has the right balance of everything to make this slot, and you, a winner. 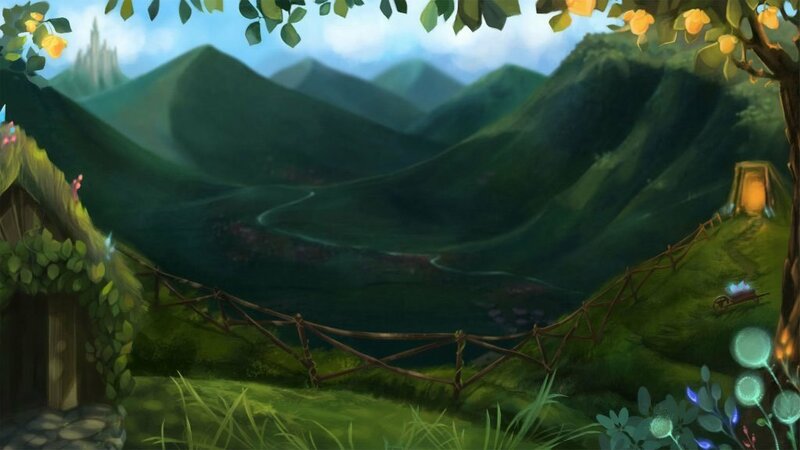 If you liked the previous titles in the Fairytale Legends series, you will definitely love playing Fairytale Legends: Mirror Mirror at Dunder.